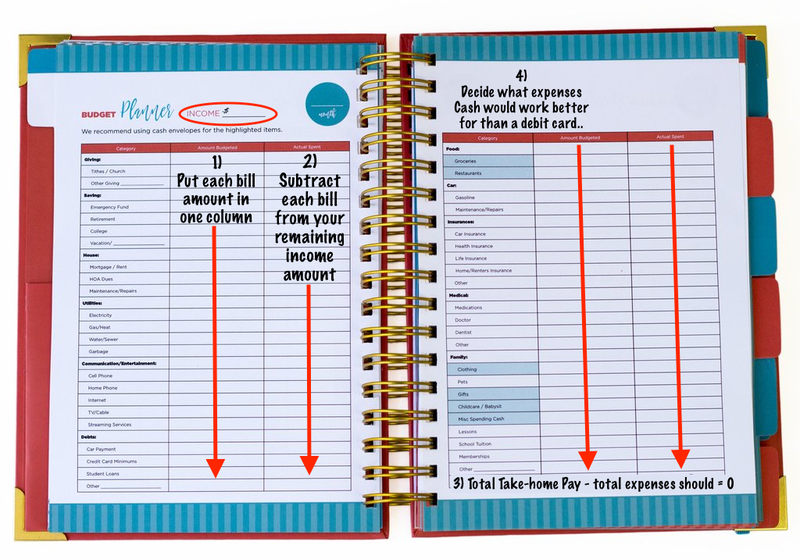 How to Budget your Bills using a Budget Planner - Simple step by step instructions! Being debt-free, and living happily within your means is something everyone wants to accomplish! Since Mark and I began our journey of financial freedom a decade ago, one little thing (well, I guess it's actually a BIG thing when you think about it…) that has bugged me is the lack of practical tools for the everyday person trying to get their budget and their daily plans figured out at the same time. 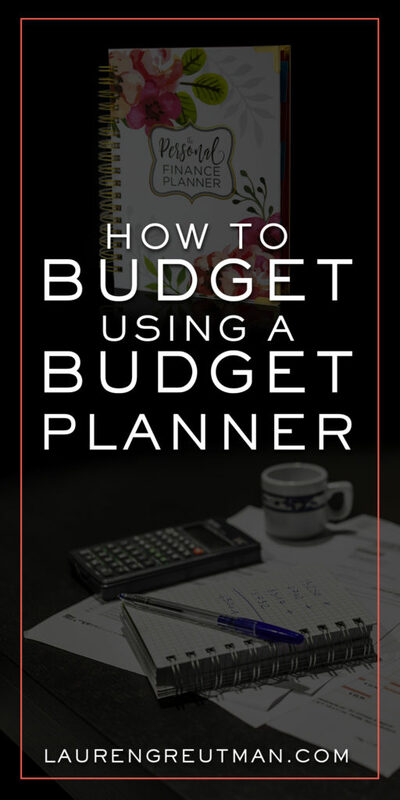 I have always used a planner, but a personal finance budget planner, or budgeting planner, was something that I needed to try out and see if it was worth using. A good personal finance budget planner should allow you to do 2 things: plan your days and your money in the same place. Think about it. When Mark and I started sitting down for a monthly Budget Night, it didn't take us long to realize something… let me show you. Answer: They all require money! 1. Find your starting point so you can reach the finish line. One of the biggest tools for success, one of the best ways to keep yourself motivated and achieve your goals, is the ability to track your progress. This couldn't be truer when it comes to paying down debt. The first thing you should do is calculate your total debt load. This could be a tough truth for some to face, but remember this is the starting point, not the finish line. Keep track of your debt reduction progress over the course of a year. 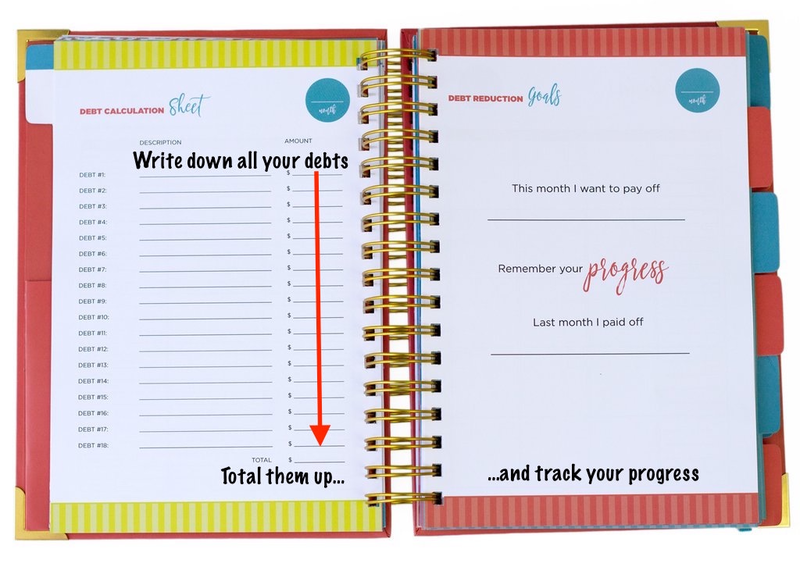 Each month, write down your new debt number and how much you've paid off. Imagine what that month-to-month success would feel like – Seeing and tracking progress is one of the major factors that motivate us to keep moving forward without giving up! The best way to keep yourself out of debt is to build up an emergency fund to cover unexpected expenses. Trust me, when you have $500-$1,500 saved up in a separate emergency fund when your washing machine breaks, you'll feel relief instead of panic, and you'll pay for the replacement with cash and not a credit card. Think about how awesome that will be! Just like with paying down debt, building up an emergency fund does not happen overnight. Tracking your progress and coming up with a plan to build that fund is essential to seeing it actually happen. The Personal Finance Planner has a page to help you plan and track how to build that Emergency Fund just by selling stuff you don't use from around your house! Sometimes finances are tight. There's no way around that (especially if you have an irregular income) If you ever realize you're in the place where you don't have enough money to cover all of your bills, it is important to have a plan. You'll need to figure out what bills you should pay first, and what ones you should wait on. If this is something you have planned ahead of time, you will be able to use what limited finances you have in the most impactful way possible. The truth is, if you're in a financial crisis, certain expenses are more important than others. For example, some items you need to survive, like essential groceries, and some types of expenses can be garnished from your wages without your permission, like child support and school loans. You can read more about these non-negotiable expenses here in my article where I answer the questions How to do I budget my Money? I cannot say this enough. Budgeting every single month with your spouse (if you are married) should be non-negotiable. If you're single, it's just as important to be budgeting monthly. Learning how to budget prospectively (budgeting before you spend) is essential to healthy long-term financial success. There is no real shortcut for this, but I promise, it will get faster and easier as you do it from month to month. Once you reach the end of your expenses, you should end at zero. This means that you've told every penny of your income where to go. This includes every bill, all miscellaneous spending cash, and everything in between. If you're overspending, decide where you are going to cut back. This keeps you from overspending before you spend anything. I know I've said it already, but tracking progress is one of the best ways to reach your personal goals. Not only that, but writing things down commits them to memory much, much better. 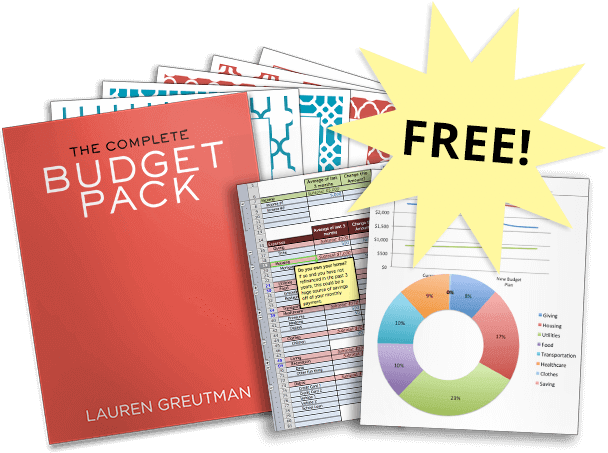 When budgeting with The Personal Finance Budget Planner, both setting monthly goals that you can see and scheduling your bills each month are really important. This is because goals (especially financial ones) and being intentional about paying your bills are related. When we are intentional with one area in our lives, it will spill over into other areas as well. When you become intentional with your money every month, and you regularly set goals at the same time, I promise you will reach more of your personal goals. Just as money and life go hand-in-hand, Goal setting and intentionality are coupled together as well. How many times have you heard me talk about meal planning? I know, I know. There's a reason for it. When Mark and I were still $40,000 in debt (read more about that in my book The Recovering Spender) , one of the simplest and most effective ways we found to immediately cut our budget (and eat healthier) was just simply planning out meals ahead of time. Your groceries will be cheaper. You will eat out way less. Every week, I started looking at grocery store sale ads, clipping coupons and planning my dinners for the week based on what I could get for free or at a deep discount. I would look at my plans for that week, decide on what we would have for dinner each night (even if it was leftovers or waffles) and make my shopping list. I did this for years on scraps of paper or in a notebook. But when I had the chance to create The Personal Finance Planner. This was one of the first things I had to have in there! 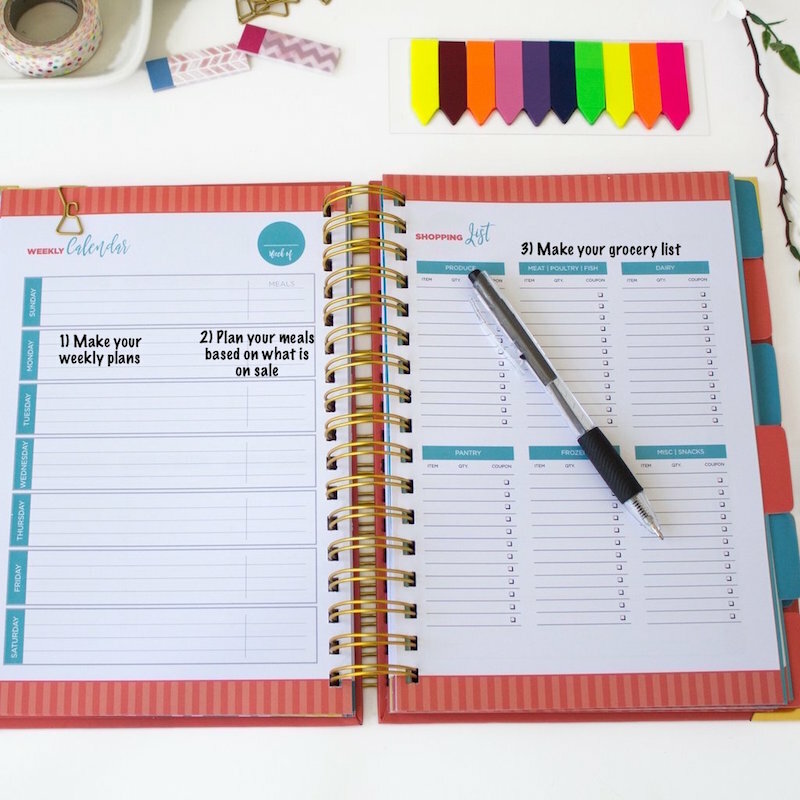 If I was going to plan my days and my money in the same place, a weekly schedule with a meal planning section and a grocery shopping list was a must-have. And since they all stay in the budget planner for a year, you can look back at past week's menus, the grocery list you needed to make them, and some of the sale prices you jotted down. Try to pay for your car insurance in one go next year you will save 30%. If you choose to make a meal plan for 3 days a week. Go on pintrest & pick 3 meals that you will love to cook & buy the exact ingredients so there’s no waste. For the rest of the week where you may choose to eat out 4 days a week sacrifice the starter, drinks (Opt for treble water) and deserts, that may help you save some money for the last 4 days of the month. I really liked the way you presented in detail about the budgeting. 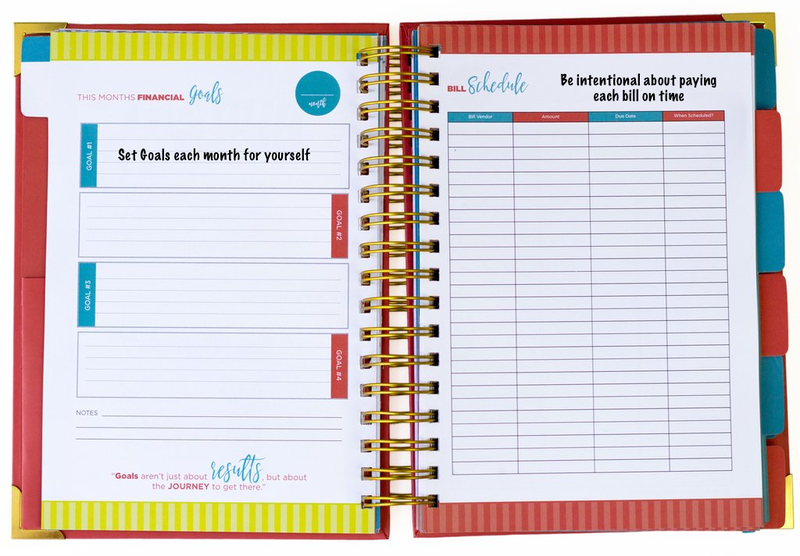 How can I purchase one of your personal planners. They will be back for sale early January. At what date will the planners be back in stock? Early January is when they will go on sale.